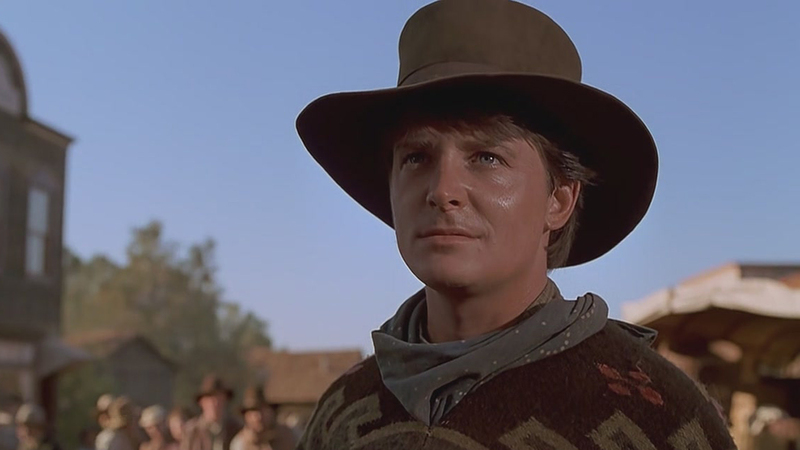 Weird Westerns are Western films that include fantasy, science fiction, or horror elements. 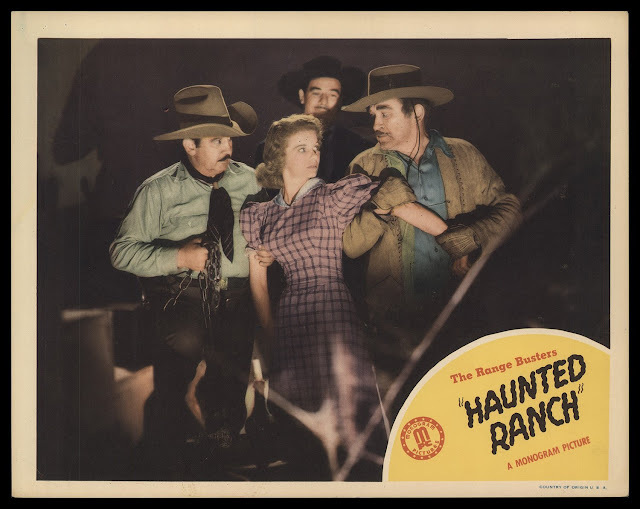 Here is a helpful taxonomy of Weird Westerns to help you distinguish between haunted mine movies, supernatural revenger films, and stories of frontier cannibals. Gene Autry discovers a futuristic city underneath his ranch in this enjoyably delirious serial Western. 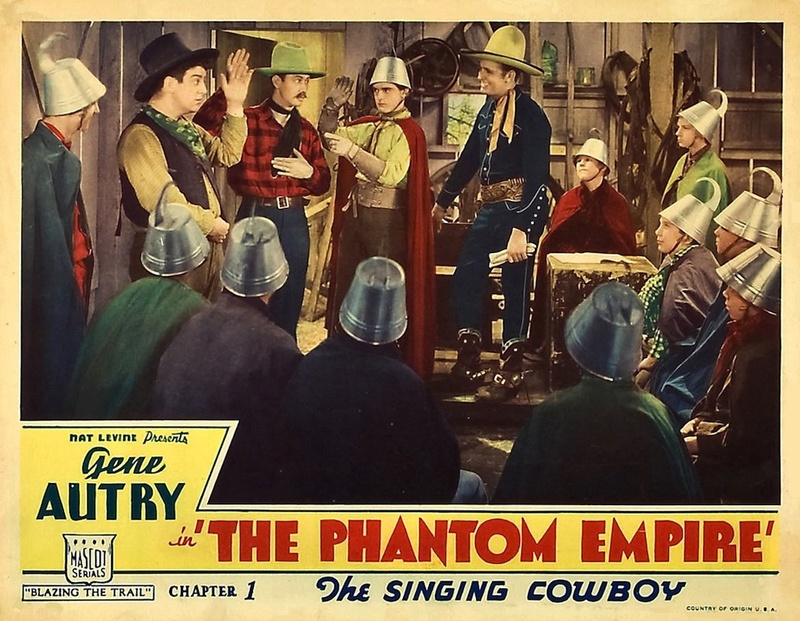 A low-budget Western about a device that allows desperadoes to knock airplanes out of the air, but the most fantastical element of the film is star Tim McCoy's enormous hat. Bob Steele plays a sassy cowboy in this novel film about a murdered entomologist and a Chinese picture bride smuggling ring. A serial Western about Three Mesquiteers who head off into the desert to find hidden gold protected by a whistling, skull-shaped rock formation and a frankly racist representation of a Native American cult. The Three Mesquiteers turned into the Range Busters in a series of films mostly identifiable by their accidental weirdness. In this case, the heroes investigate a haunted ranch house. Buster Crabbe plays a dour cowboy helping out an unconvincing Englishman who has inherited a ranch that rustlers claim is haunted. A boy is turned into a hairy monster in the Old West by a passing meteor and spends the rest of the film killing cattle, gibbering, and being used as a tool of murder by a young psychopath. Tony Randall stars in yellowface as an ancient Chinese man who brings a very weird circus to a Western town. 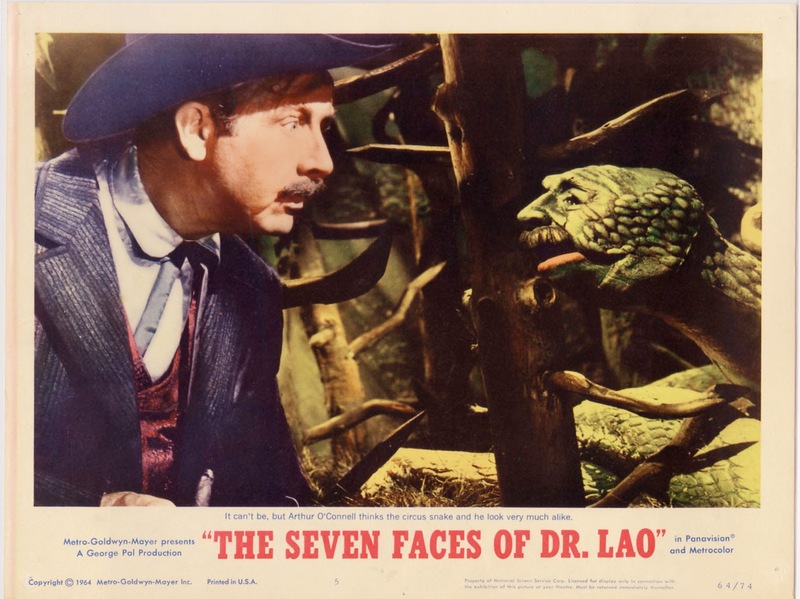 The first of two Weird Westerns made back-to-back by William Beaudine in which Western outlaws battle monsters. John Carradine starred as Dracula, and regretted it. 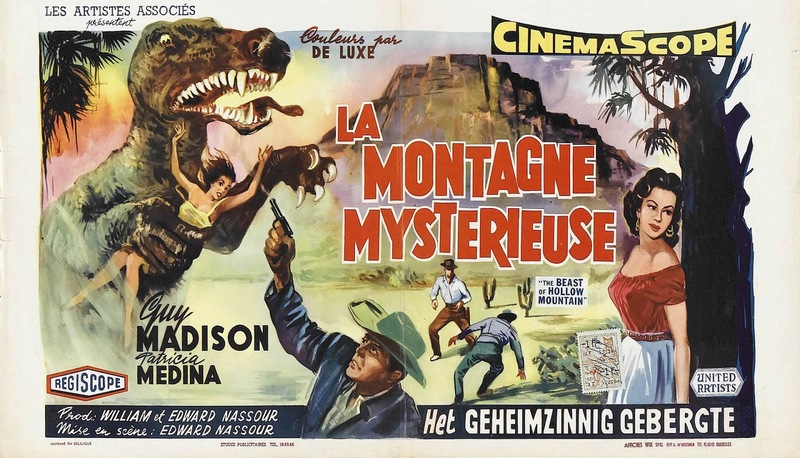 The second William Beaudine Weird Western, this time featuring a body builder in Western garb converted into a mindless monster by Frankenstein's granddaughter, rather than daughter. A tale of Western revenge in which vengeance itself becomes a supernatural force, bringing with it storms and causing spontaneous acts of murder. A television movie in which a preacher comes into a Western town filled with pagans, mostly interesting because it somehow managed to tell the story of the classic folk horror film "The Wicker Man" two years before "The Wicker Man" was released. A knockabout Spaghetti western in which a stranger with a machine gun and vaguely supernatural abilities settles a political feud in a Mexican village. Clint Eastwood's tale of supernatural revenge in the Old West is probably the most successful Weird Western even made, in part because critics refuse to admit it is a Weird Western. 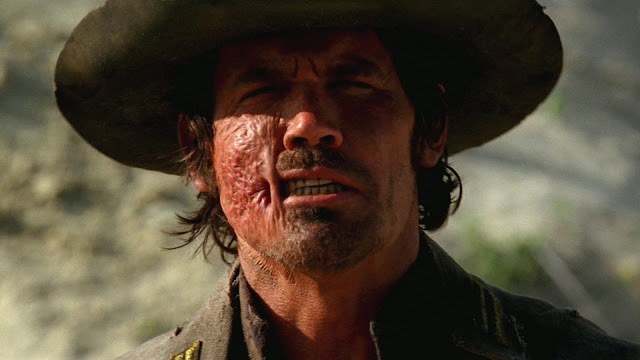 Charles Bronson stars as Wild Bill Hickok, accidentally teaming with Indian leader Crazy Horse in a hunt for a mythical bison in a film that (perhaps accidentally) has a lot to say about colonialism. Clint Eastwood's second film about a ghostly revenger, benefiting from Eastwood's increased maturity as a filmmaker and from a script that cribs heavily from the cowboy classic "Shane." 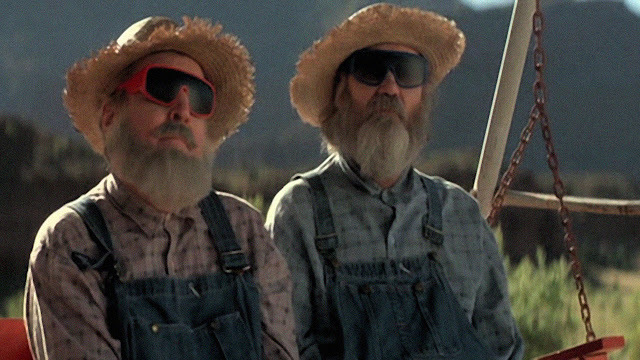 A low-budget North Carolina film about space aliens stealing guns from a trick shooter to hunt humans, featuring the unexpected appearance of actual Western stars Lash LaRue and Sunset Carson. A middling Weird Western anthology that benefits greatly from its wraparound story, in which James Earl Jones and Brad Dourif, playing two craggy frontier types, tell each other stories. The third part of Robert Zemeckis's trilogy about a time-traveling teenager, played by Michael J. Fox, here thrust into an enjoyably shallow version of the Old West. An overlong post-apocalyptic Western with Kevin Costner battling a warrior cult that honestly seem like they should have Twitter accounts with Pepe AVIs. A genuinely superb Western horror story in which frontier cannibalism becomes a satiric metaphor for manifest destiny. A posse goes after pioneers they believe have been kidnapped by Indians, and instead discover predatory monsters and a terrifying metaphor for genocide. Director Ewe Boll follows up his critically pilloried Vampire movie "BloodRayne" with a critically ignored sequel, which, for some reason, has decided that Billy the Kid was actually Dracula. A failed blockbuster about alien strip miners and the coalition of Western types that battle them, benefiting enormously from a big budget and an enviable cast. A notoriously troubled Wesley Snipes Western about a gunfighter who returns from the dead, along with everyone he killed. The story is hard to follow but the art direction is, at times, almost hallucinogenic. Johnny Depp plays a highly questionable Tonto in Gore Verbinski's huge-budget adaption of the once-popular radio serial character. Danny Trejo stars as a bandit who makes a deal with the devil to return to earth in order to kill the men who murdered him. A cowboy film shot in Kent, England, with a cast of UK actors shooting it out with each other and with a werewolf. A superb story of a kidnapping, a search party, and subhuman cannibals that nonetheless has troubling subtext. The story of a gang of Texas desperadoes stalked by some sort of murderous evil, but who mostly spend their time irritating each other. An explosion in a mine releases badly animated dinosaurs that wander back and forth on a main street in Montana while a former rodeo champion tries to get his life back together. The big-screen adaption of Stephen King's magnum opus about a Western gunslinger in a fantasy wasteland, made by an entire group of people who seem like they thought the film was a chore they did not want to do. The sequel to the 2014 film about English spies relocates to America and to a group of cowboy-themed agents who manufacture bourbon on the side.